2. On the Connection Status (Network Map) page, If you are presented with the Quick Start window > tick Don't automatically show this Quick Start after login > click Close. 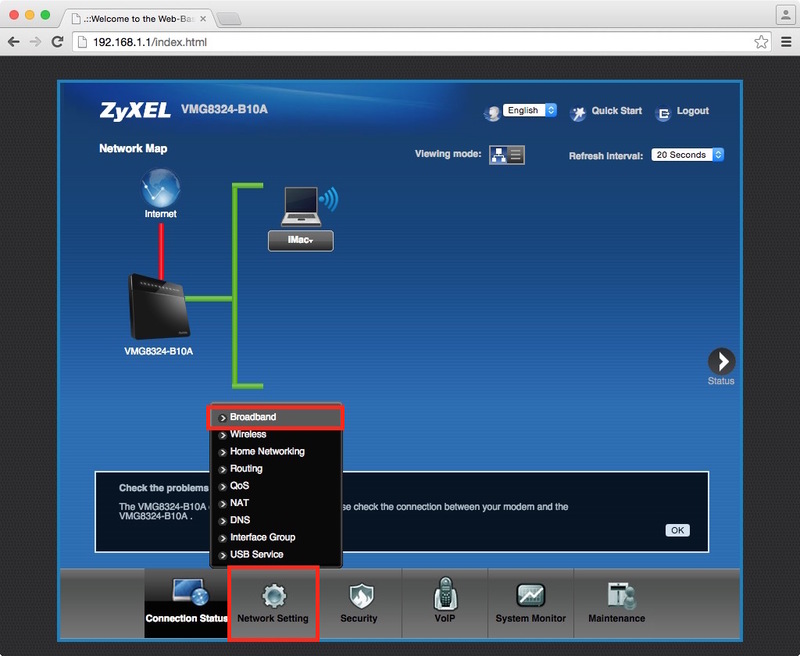 Hover over Network Setting > click Broadband. 3. 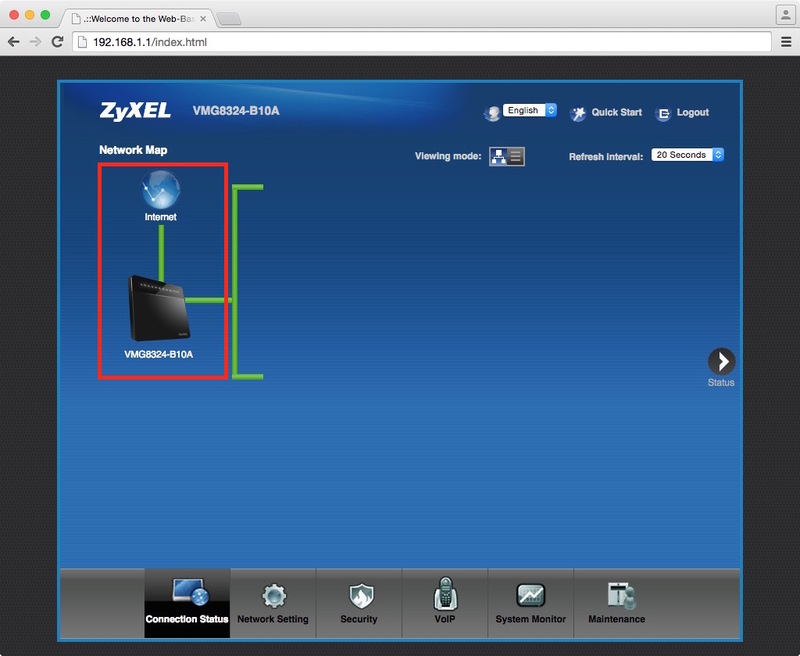 On the Broadband page, on the Broadband tab (default) > for the ETHWAN entry> under Modify, click Edit (pencil Icon). PPP Password: (Your Account password that was assigned to you). 5. 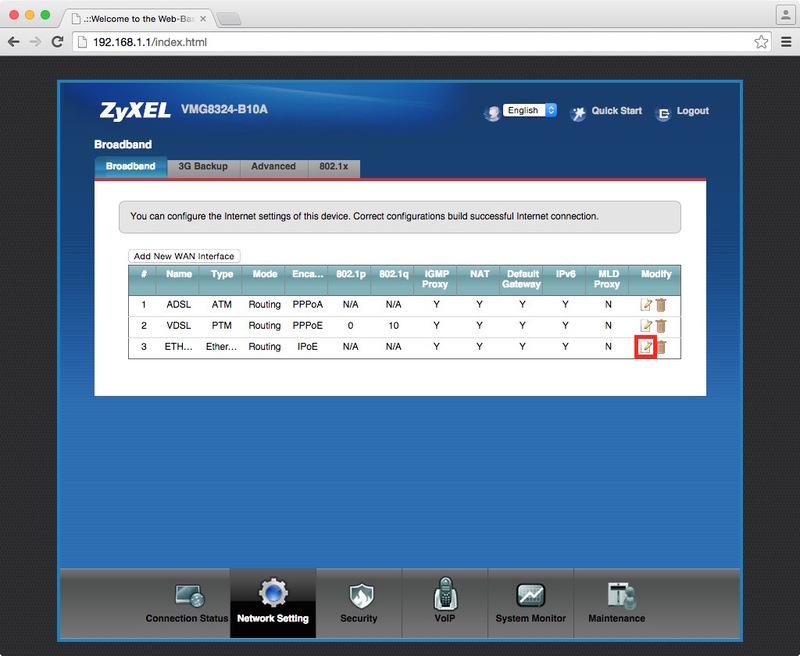 Click the Connection Status (button situated on the bottom left), ensure you see a Green connection between your ZyXEL Router and the Internet icon. 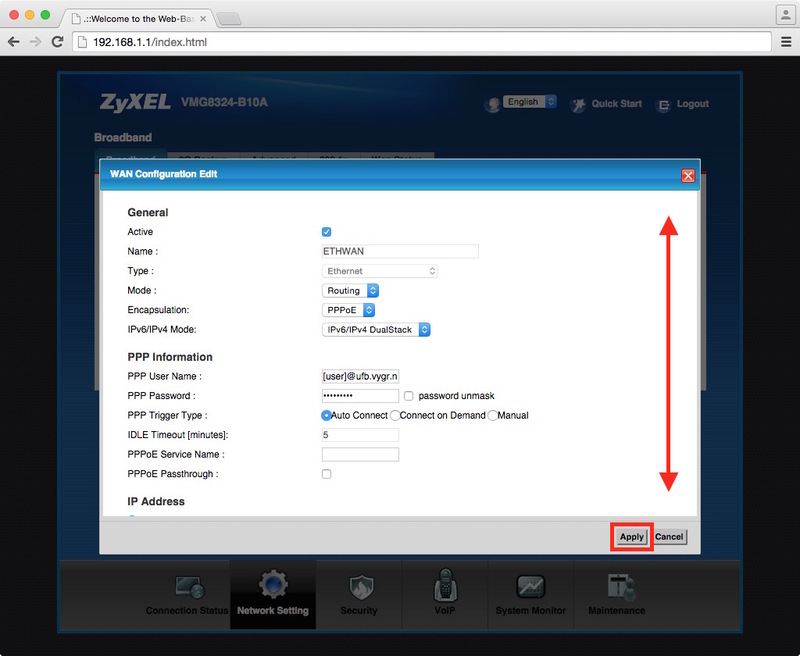 NOTE: If bundled with your plan, you may also wish to setup your VOIP (SIP) Subscription.